Taking a vacation is not just about getting away, but about doing something special when you get there. With more than 190 countries to visit and a plethora of activities, choosing the perfect place for you comes down to a combination of options: the perfect hotel, location, and the unique experiences that a vacation can offer. With all the great travel places found in Mexico, the Yucatan Peninsula is the perfect destination for a special getaway that's right for you. Located about an hour away from Cancun and the Riviera Maya, Yucatan Holidays, in association with Kanché AC, offers the curious traveler an opportunity to experience the mystical Mayan culture in the present while at the same time helping to conserve the natural environment. 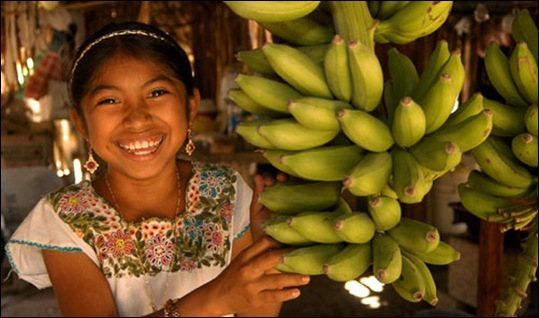 Founded in 2006, Kanché AC works toward the advancement of rural communities through sustainable development, alternative tourism, and education. It is a non-profit, non-governmental organization that uses profits generated by alternative tourism to invest in socially oriented projects that help the local community. Two major goals of the organization are to improve the conservation of the environment and to create an intercultural center to preserve the traditions and cultural attributes of the region. The tours offered provide different options for all tastes—including swimming with whale sharks, getting to know the descendents of the Mayan culture, exploring the ecosystems and jungles, among others. The small size of the group tours is designed specifically to preserve the habitat and offer a personalized visit. Kanché AC provides local communities with the tools to be self-sustained while, in the meantime, working to conserve the natural habitat and provide the sensible, responsible, and curious traveler with a unique vacation experience. Make your next holiday a different experience planning your vacation with Yucatan Holidays and Kanché AC. For more information, send us an email to info@yucatanholidays.com or call: 1.800.658.3141 (from US) & 0.800.520.0436 (from UK) and start exploring.